Latest Updated on 12.03.2019 : Good News ! RRB Has Started the Online Application process for Centralized Employment Notice (CEN) No. RRC-01/2019……….. Stay Connected With us for More Updates………………..
b) SBI Challan 18.04.2019 at 13.00 hrs. c) Post Office Challan 18.04.2019 at 13.00 hrs. The Ministry of Railways has issued a Notice regarding age, educational qualification, language of examination and examination fee etc. Candidates Can Check the Details Below……..
Good News ! The Compulsion of ITI in Group D recruitment is Scrapped. …. Check Out the Detailed info from below Image…..
Railway Recruitment Cell (RRC), Allahabad will issue the notification regarding this soon on the Date 10.02.2018. All the Candidates who had been waiting for the Recruitment of Group D posts will be able to Fill the Application form From 10.02.2018. The Details About the Vacancies is given Below…. Rs. 18000/- (Level 1 Of 7 Th CPC Pay Matrix) Plus Allowances As Admissible For The Posts. Candidates Should be 10th Pass from a Recognized Board/ Institute. Candidates Should be of Minimum 18 years and Maximum 31 Years. Age Relaxation Shall be Permitted to all the Eligible Candidates. Candidates Should Check the Age Relaxation Details from the Advertisement. Written Test, Trade Test and Medical Examination. Candidates, who belongs to General Category will have to pay Rs 500/– & for OBC/SC/SC/PWD/Female Category Candidates will have to pay Rs 250/–. Candidates Can Pay the Application Fee through online (Net Banking/ Credit Card/ Debit Card) or offline mode (SBI Bank or Post Office Challan). 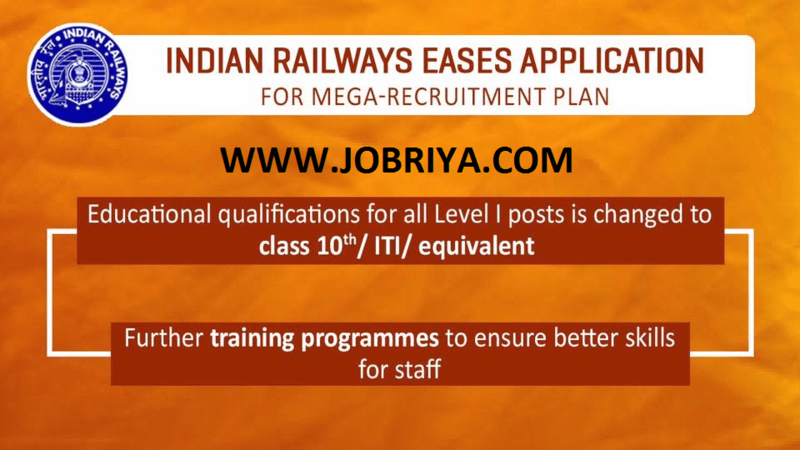 For Any Query or Doubts Candidates can Leave Comment in the Comment Box regarding Railway Group D Recruitment. We will Try to give Appropriate Response of Queries and Clarify Your Doubts. Sir after submission of this form by mistake payment done 2 times.1000 of rupees deduct from my account. It will refund refund money from rrb or not..Sir please tell me….. When it will refund sir. 3 days already gone. Or is there any surity that money will be refund sir??? Sir I have applied in ews category from Delhi region . What will be the competition in ews category. Which zone has high competition and which zone has less competition to apply comfortably? I’m from diploma. Am I eligible to apply for group d? Sir I fill form railway group d from Delhi can I change railway zone I want to fill form Kolkata?and how? sir/mam mera friend ka ek aankh se clear dikh raha ha or dusre aankh se dhundla dikh raha ha. chasma lagane par bhi nhi dikhraha ha clear to wo ek hee aankh se dakh raha ha.to kya sir/mam wo rrc group d or rrb ntpc ka form bhar sakta ha kya? sir/mam medical ma dono aankhoo ka baari baari se check hoga kya? Me rrb Guwahati se tha. Kucch time Baad Try Ken..